We love going to Monterey Bay. My kid loves the aquarium and it has become a ritual for us to visit the place at least once a year. This picture was taken 3 years ago. It was my son’s first aquarium. 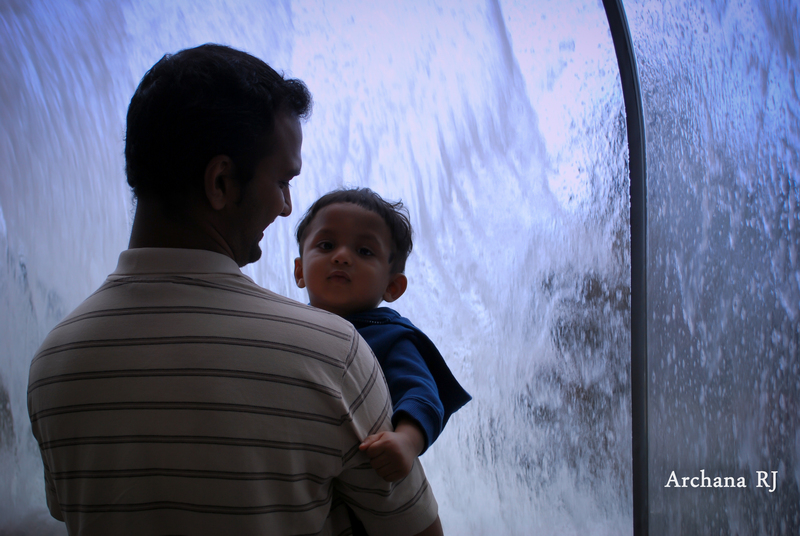 He didn’t understand the concept of an aquarium then but he was mesmerized by the fact that he was under the water (wave room in this case). This is one place in the aquarium kids enjoy to the fullest! At first my son got scared.. but with his daddy near him he feels safe. No matter how many times we go there, his first reaction is always – ‘Daddy hold me’ and after 2 or 3 rounds he would get down and enjoy the waves.